James Martin (fl.1786 - 1792) Memorandoms: Escape from Botany Bay, 1791 : being 'Memorandoms' by James Martin; introduction and notes by Victor Crittenden (Canberra : Mulini Press, c1991 ). In 1791 a group of nine convicts and two small children escaped from the settlement at Sydney Cove. They successfully managed to avoid capture in a leaky boat before arriving in Timor, where they were arrested and re-imprisoned. Of the three accounts of the voyage known to exist, only one has ever come to light. It was the account attributed to James Martin, entitled 'Memorandoms'. The writer(s) records the journey of the escapees up the coast to Swansea and later to what is possibly either Newcastle or (more likely) Port Stephens. See Henry William Hemsworth Huntington's account relating to conflict with the Port Stephen Natives in 1795. 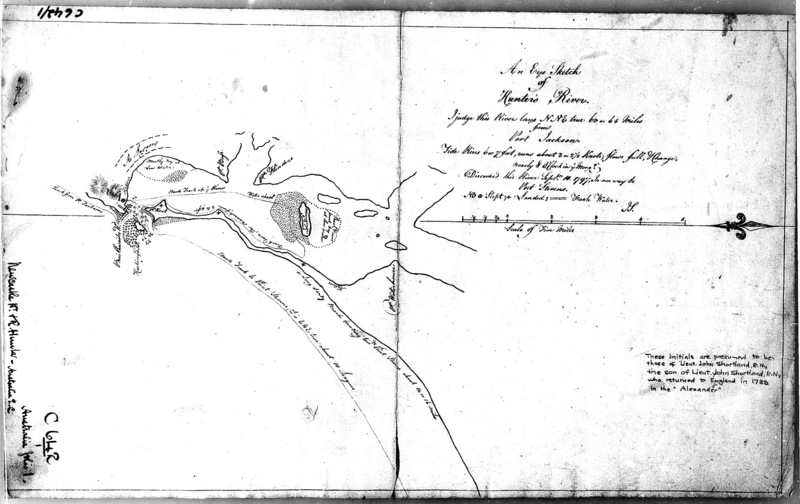 See Henry William Hemsworth Huntington's account relating to Captain Broughton's discovery of four runaway convicts during his survey of Port Stephens in 1795 and their experiences with the natives. See Henry William Hemsworth Huntington's account relating to quarrels between the Newcastle Blacks and fishermen in 1796. See Henry William Hemsworth Huntington's article relating to Collin's Diary account of meeting between fishermen and Port Stephens Aboriginals, friendly disposition of the Newcastle Natives and the search for the "Wild White Woman". Lieutenant John Shortland of the H.M.S. 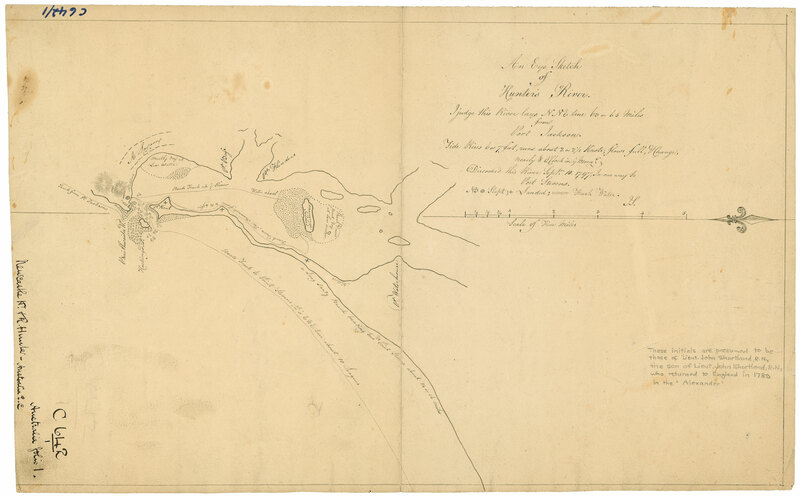 Reliance officially discovered the Hunter River on the 10th September 1797 while on route to Port Stephens. Please click above to view a more accurate version of "An Eye Sketch of Hunter's River" that contains sightings of natives in the vicinity. See Henry William Hemsworth Huntington';s account relating to Quarter-Master Hacking and his punishment of the Newcastle Blacks in 1799. See The Cyclopedia of N.S.W. (1907) account of the 1799 conflict between Aborigines and crews of colliers reported to Governor Hunter, who sent Mr A. Hacking to investigate. See Henry William Hemsworth Huntington's account relating to role of King Bungaree in the early settlement of Newcastle.